This article was made at the request of the Master of the Avallonë Stone. If you want to support the blog and request articles like this, then feel free to support our efforts via Patreon. Need more cards? Get yourself a Beravor! As powerful as some decks are, they are sometimes in need of replacement cards in order to either resolve a multiplayer uniqueness issue, or to stand a better chance against a specific scenario. The cards that can serve as replacements for cards in your deck will go into a separate slot in your deckbox: the side-board. You don’t want to include these cards in your deck, since that would push the decksize too far from 50, at which point you are less likely to draw into the cards you need most. However, keeping them in your binder is also a pain, especially when taking your deck to a playgroup or an event. In this article, I will go over some of the reasons why you will want to have a side-board, as well as giving some tips on what cards you should include. This is based on my own experience from my trip to Con of the Rings, where I brought a deckbox with some side-board cards to serve as replacements for my decks to make them more flexible in different scenarios. You can see many decks on RingsDB with a side-board underneath the actual decklist. These cards can be swapped out for cards in your deck should you want to. There can be a number of reasons as to why you would want to make a side-board for your deck, so let’s go over the more common ones. If you have ever played a pickup game with players at conventions, online, or at your game store, you will know that some cards are more popular than others. This is usually not a problem, but when it comes to heroes, allies, and attachments, the uniqueness rule comes into play. This rule states that there can only be one card in play of a given title if that card has the unique symbol in front of the title of that card. This is usually an issue for heroes, as all of them start in play. At that point, you may find out that another player is also running a hero that is in your lineup. Common conflicts like this occur with Arwen, Aragorn, and Eowyn, but there can be a lot more conflicts like this. In that case, one of you will have to either play another deck, or swap out that hero for another one. 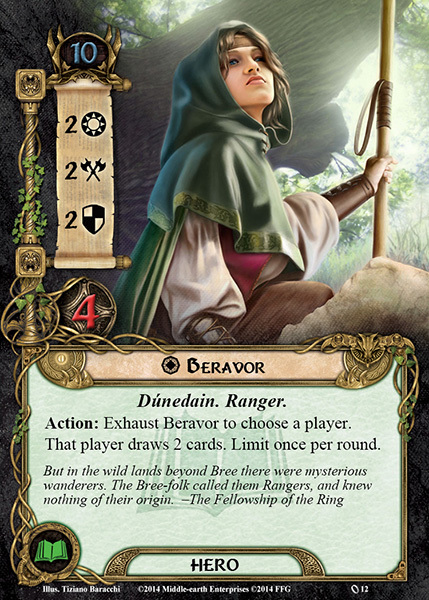 If the entire group agrees, you can also play with 2 copies of the same card on the table (the discussion of Arwen-Barwen), but it is not recommended (exceptions can be made for heroes and allies at the same time). The second way a uniqueness issue can be a problem is through ally versions of heroes. In the game, there are a lot of unique allies that eventually got a hero version, or vice-versa. If the hero version of a character is already in play, that character’s ally version cannot be played. This can leave you with cards in your hand that you won’t be able to play, so it would be best if you swap them out for something useful beforehand. You will still be able to discard the ally in your hand through cards like Spirit Eowyn or Protector of Lorien, but that can be considered a waste of a card slot in your deck. Try to communicate with others what unique characters you have in your deck beforehand, so that everyone has a chance to swap them out if need be. Usual conflicts include Gandalf, Arwen, unique Dwarves, etc. Attachments can also be unique, and while they may not start into play, they can block other copies from getting on the table. 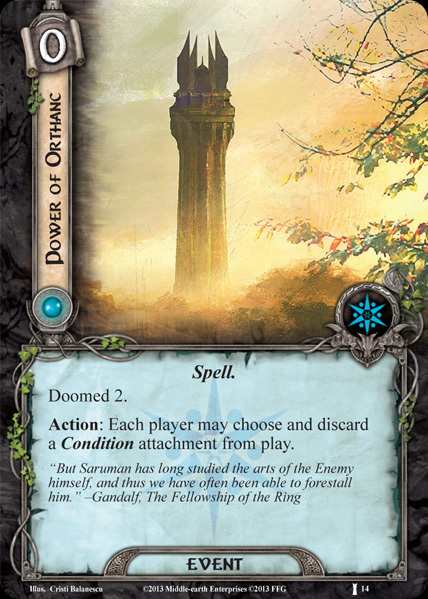 The biggest conflict is undoubtedly Steward of Gondor, which was crucial for a lot of decks in the early days of the card pool (and still today in some cases). Having multiple players include this card in their deck will make it a race to see who gets it earlier, and can create some tension between players. If you are discussing unique cards at the beginning of the game, try to find a replacement for your attachments as well if there is a conflict. Often there are cards that serve a similar function, but are less cost effective. Those can be going into your side-board if you are attending a multiplayer game. High threat scenario? Bring this, especially in 4p! I think we have all been in this situation where we have started constructing a new deck from scratch and then start counting the cards once we have selected them. 9 times out of 10 I get a number larger than 50. This means that you will have to make some rough decisions on what cards to keep in the deck, and what to throw out. While it is not a concrete rule, most decks tend to be exactly 50 cards strong, in order to optimise the chances of you finding important cards in your opening hand. But if you really want to, you can add a couple of cards that you cut during this process to your side-board. This allows you to swap a card once in a while for an ally that rarely sees play (think ally Bombur in a Dwarf deck) or to test out some new cards that you think will work in the deck. Adding them to the side-board will allow you to prevent having to rebuild the entire deck, while still enjoying more cards with the same deck. Just be sure that you always have 50 cards in your deck (heroes and encounter cards not included). Getting a pack of 50 coloured sleeves is the easiest way to be sure of that number. Having made a deck is great in this game, but you will find that a single deck isn’t likely going to fare well against each individual scenario (unless you are using The One Deck). Usually, scenarios have a unique feature that make them stand out among the others. To make sure that your deck at least has a fighting chance against some of these weirder quests, you may want to add some cards to your side-board to swap out with the cards in your deck if you attempt these quests. 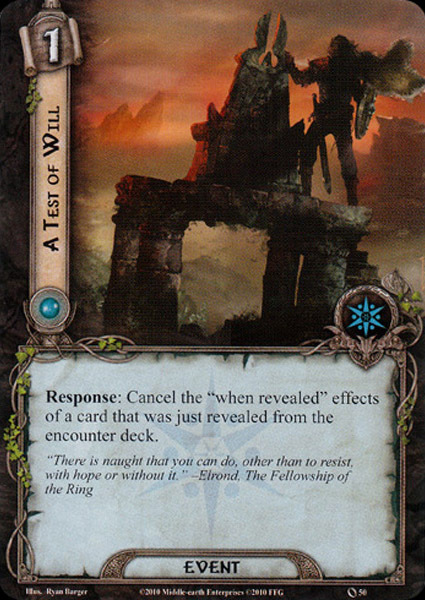 Location heavy quests like Celebrimbor’s Secret, The Long Dark, and The Hills of Emyn Muil, for example, get easier if you include some location management cards in your deck. A few copies of Thror’s Map, The Evening Star, and Northern Tracker can really help with these scenarios. If you don’t yet have the card pool to support multiple (dedicated) decks, you will find yourself using a single deck to beat most scenarios, with a side-board that helps you to cover some mechanics that are scenario specific. What cards to bring in a side-board? Now that we have somewhat defined the circumstances in which you should bring a side-board, what cards can you add to it to get that flexibility or to solve any uniqueness issues? There is no denying that some cards are more powerful than others in this game. These so-called Staple cards have been discussed on the blog before and are considered auto-includes if your deck requires either resource acceleration, direct damage, threat reduction, etc. Having more of these cards in your side-board makes your deck more flexible against certain scenarios. Does the scenario feature a lot of threat raising cards? 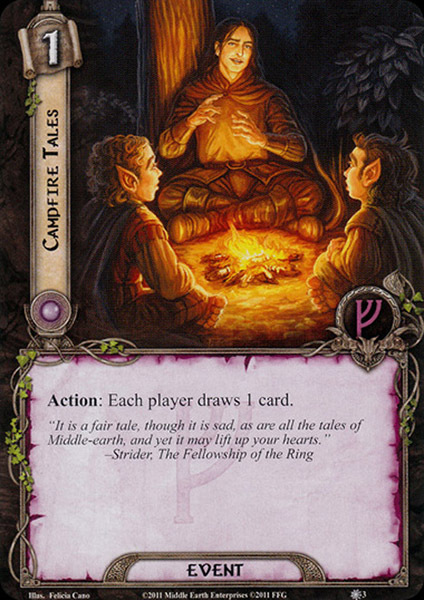 Swap out some cards for more copies of Galadhrim’s Greeting, Woodmen’s Clearing, or Elrond’s Counsel. Keep in mind that not all staples are swapped into your deck as easily. 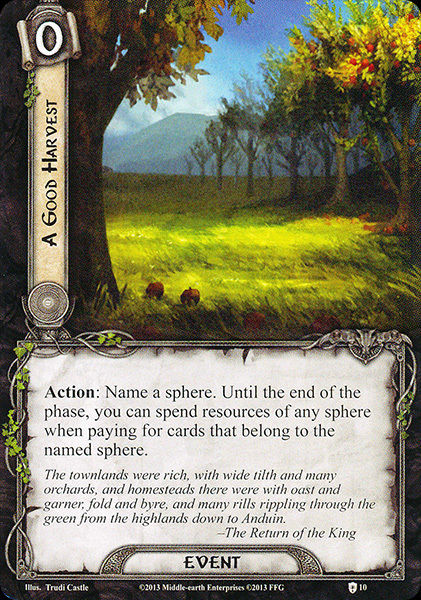 Steward of Gondor may for instance cause uniqueness conflicts with other players, and you must have a resource match for the staple card in any case (unless you also include Good Harvest). This category is especially important if you are playing a pickup game with other players and you want to seem like a nice guy. Sure, you could play a deck that has no interaction with other players, but where is the fun in that? Some of these cards even become more powerful or are better priced with more players in the game, so you can swap out some of your cards in the original deck for these multiplayer cards and have a great multiplayer experience. Examples: Campfire Tales, Side-quests, location attachments that benefit the first player (while you are not the first player), Deep Knowledge, Errand-rider, Galadhrim’s Greeting, cards that go into the encounter deck, etc. Some cards in your deck may lead to uniqueness conflicts with other decks that run a hero version of an ally you use. A good example would be Legolas, who is popular in both hero and ally form. 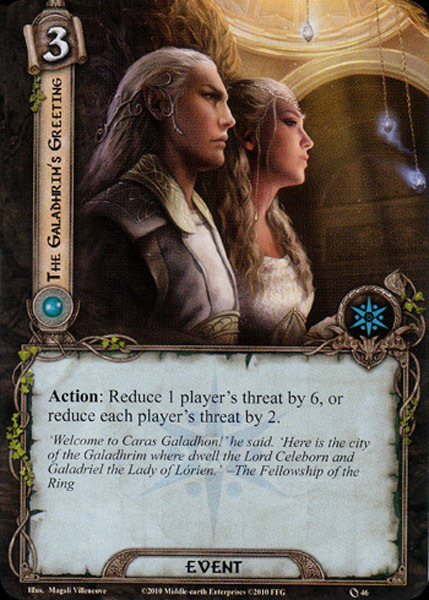 If you are running a Silvan deck with ally Legolas, you may want to swap him if a fellow player runs the hero in their deck. Replacing this ally with a regular card would be fine, but for ally heavy decks, you will want something that synergizes with what you are playing. As such, it is good to have some spare copies of non-unique (or at least non-conflicting) allies in your side-board that work well with the deck. 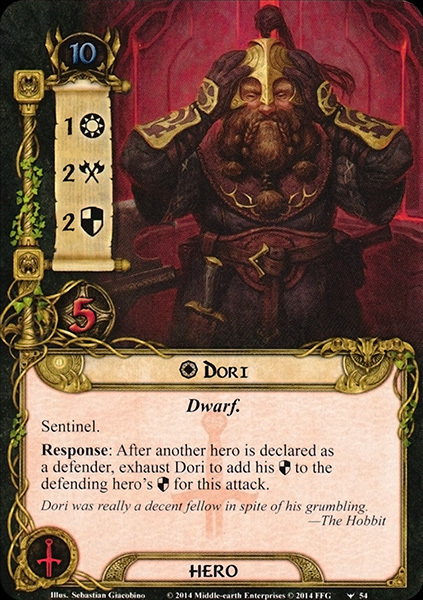 This is usually an issue with decks that run a lot of unique allies that also have hero versions, Dwarves and Noldor are another good example. This does not have to be restricted to allies though, heroes can be swapped as well. I have had several situations where Lore Pippin got replaced by Folco Boffin, since someone else was using a version of Pippin that made more sense in their deck. Being able to adapt by having replaceable heroes that still fit the archetype will be a good way to get around conflicts quickly. Examples: Any non-unique ally that works with its corresponding archetype, heroes that can be swapped in a deck without requiring a lot of reconstruction of the deck. A card is considered to be splashable, if it can benefit in most decks and requires little to no setup. This term usually refers to heroes that can be swapped in and out of decks without causing you to restructure your deck entirely. These heroes have no attachments that are vital to them, and generally don’t cause uniqueness conflicts. These are great to bring to the table, as you can swap them out for any hero in a deck if there is an issue and you don’t have a hero in your side-board that matches the archetype. These heroes aren’t very powerful, but they allow players to make their deck work despite changing up their hero lineup. Not required against all scenarios, but useful against some nasty Conditons. To this category I will also add cards that are only really necessary for a specific scenario. A good example of this is a quest in which a lot of Condition attachments can ruin you. Having cards in your side-board that counter these attachments will be important in some cases, but not all. That is why these cards generally aren’t included in most decklists, but will be swapped into the deck if the players attempt a scenario with a bunch of nasty attachments. Examples: Beravor, Theodred, Eowyn, Sam, Gildor Inglorion, Folco Boffin, A Test of Will, Protector of Lorien, Bulwark of the West, ally Elrond, etc. And that concludes this article on side-boarding. I will update the article if more excellent side-board cards come out, or if I have missed anything major. I don’t usually side-board a lot, as I primarily play solo games at home. If you want to request an article like this, feel free to check out the reward tiers at our Patreon site. I will be going back to doing regular articles for the rest of the month, but may be persuaded into doing other articles as well sometimes.